The new year calls for new thngs and that is what Diamond Platnmuz' baby mama just did, she added an Audi to her fleet. She already owns an AUDI Q7, but looks like, she's had enough of it and now wants even a better model. Not long back, we told you of how she acquired a brand new Merc CDI, it's not even made 10,000kms and here she is again with an AUDI. 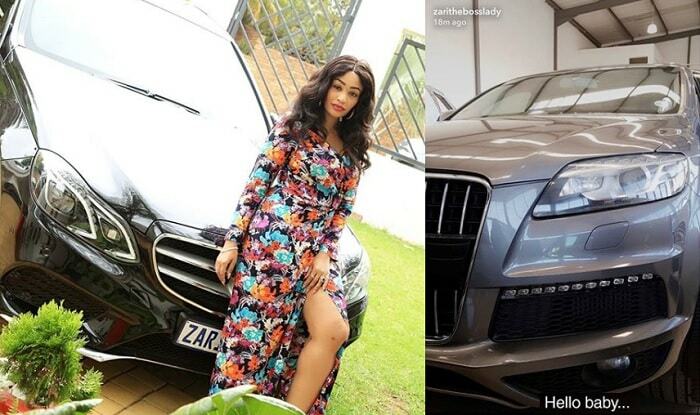 The South African government seems to have picked interest in the running of their school after noticing that the different families were still fighting over who should run and manage the school, but this has not affected Zari in anyway, slaying is her trademark and that is what she does best, so an Audi model 2015 finds itself on her fleet. By all standards, a 2015 model being bought in the year 2018 does not come cheap considering that in this part of the world, the majority drive reconditioned vehicles. 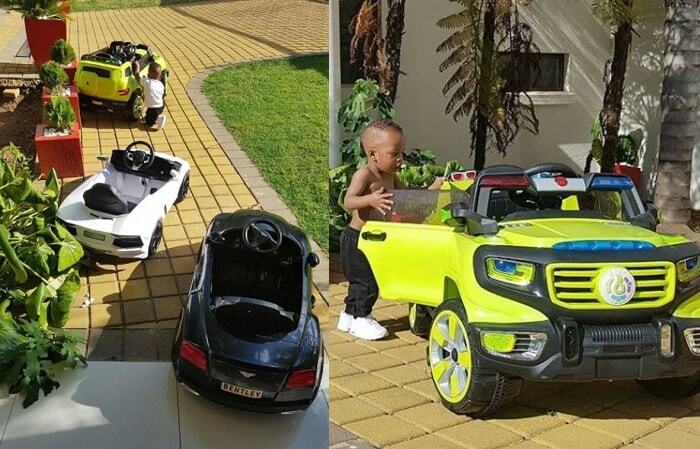 Sponsored Meanwhile, Nillan is also enjoying her lane, he was spotted a few days back inspecting his fleet that includes a Lambo and Bentley to ensure they are free from any 'mechanical conditions'. These were some of the birthday presents when he turned one, his dad had to fly in the entire family and close buddies to South Africa where they had their Xmas celebrations and Nillan's belated birthday on boxing day.